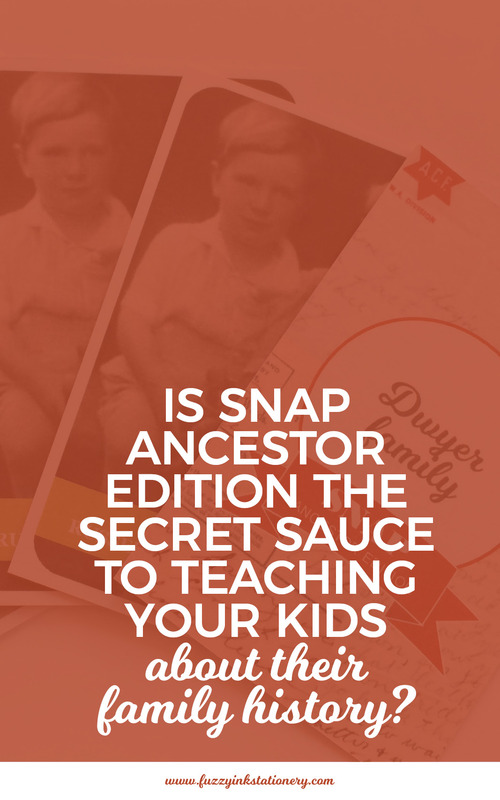 Is SNAP Ancestor Edition the secret sauce to learning family history? 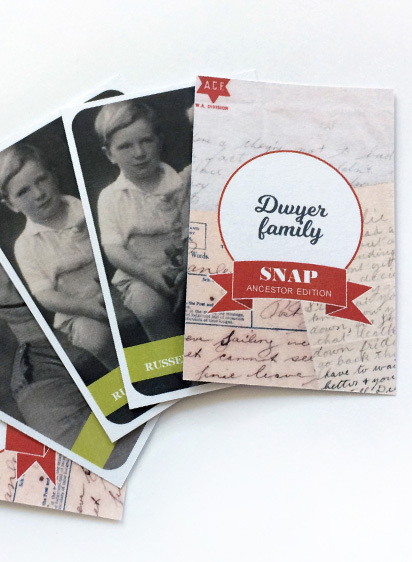 Have you made your family deck of SNAP Ancestor Edition playing cards yet? If not, then check out the video tutorial below as I quickly put together one of my family decks. I love board games. Growing up my siblings and me played many, and we played often. We were a large family and most games accommodate only 2 to 4 players. Therefore we had to make our own versions. 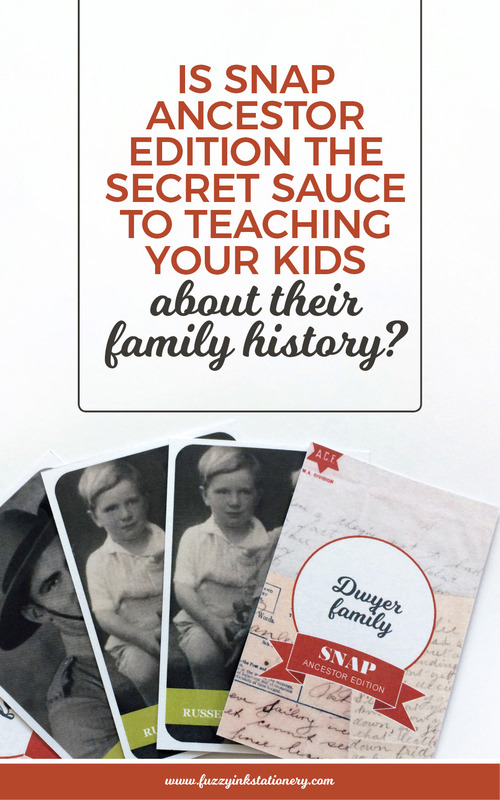 You can read about that on the SNAP Ancestor Edition blog post. 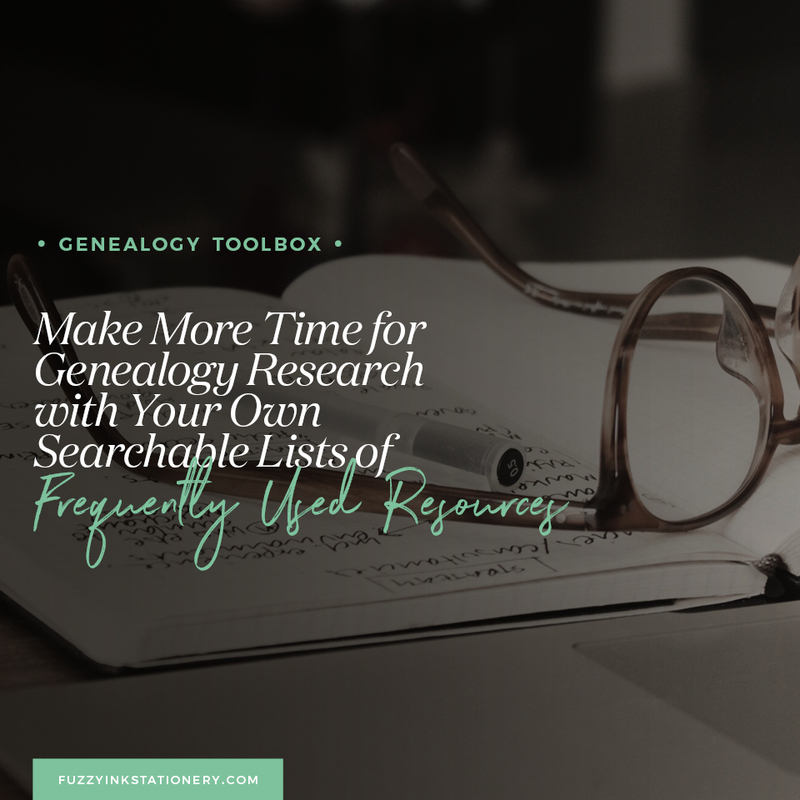 That is why building ancestor specific games is a unique opportunity to tell their stories. You can engage people who may not otherwise show interest by making it fun, challenging and entertaining. It’s incredible how much knowledge sticks and can spark interest long after the game is over. Also, who wouldn’t want to hang out with their Ancestors? So, what did you think? 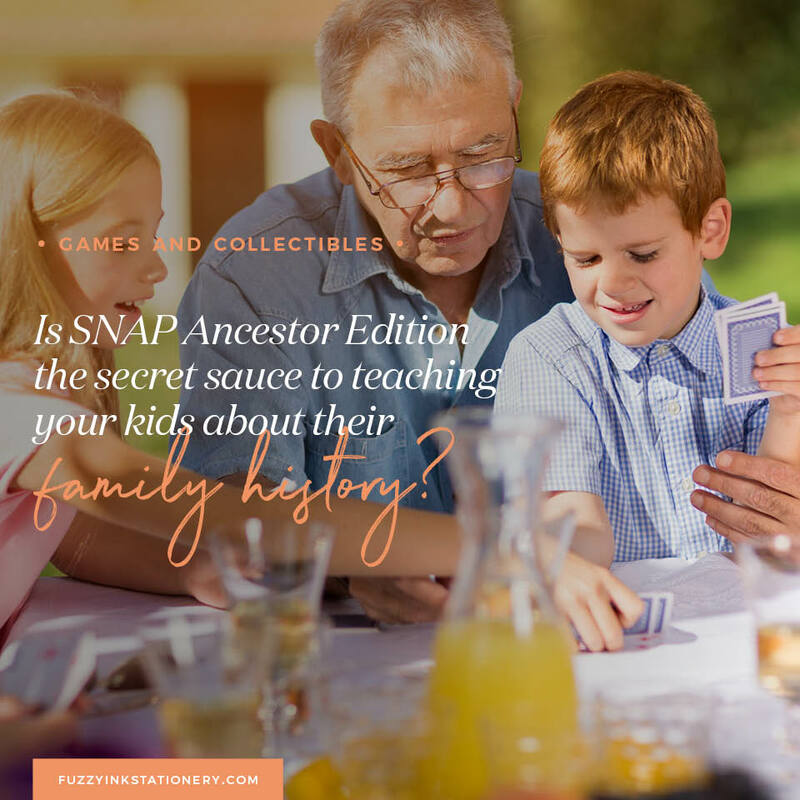 Are you ready to create your own deck for a rousing game of SNAP? Or maybe you’ve already made one or two? I’ve love to see what you create. Send me a pic to hello@fuzzyinkstationery.com or post a photo on Facebook. Look for the pinned post ‘Share Your Story’ at the top of the page. Don’t have Microsoft PowerPoint on your computer or maybe SNAP is not your game? Then keep an eye on the blog (and email updates) for more game templates. Once a month I’ll be adding a new game template to the Resource Library. 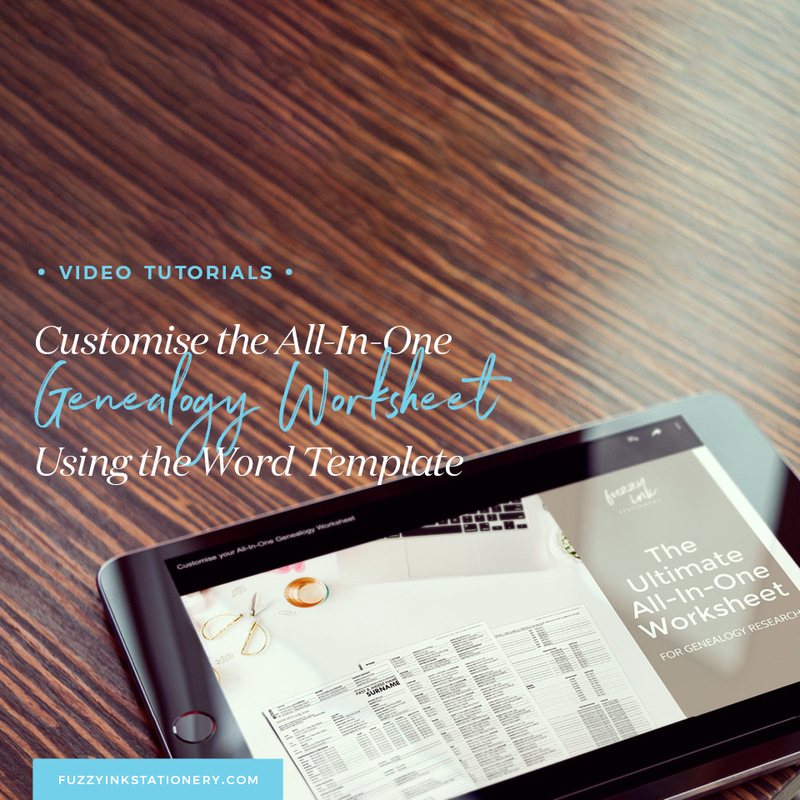 All templates will be both PowerPoint and Google Slides. 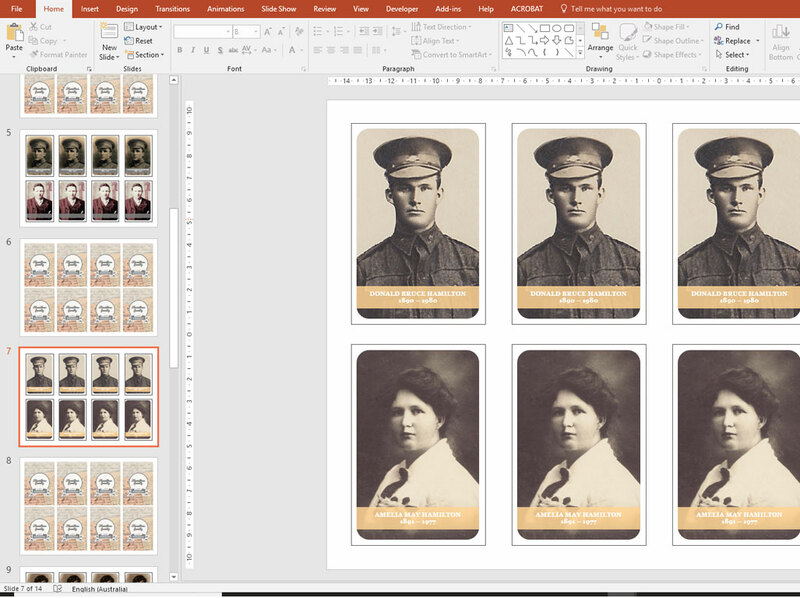 Another SNAP Ancestor Edition template will be up soon for use with Google Slides. 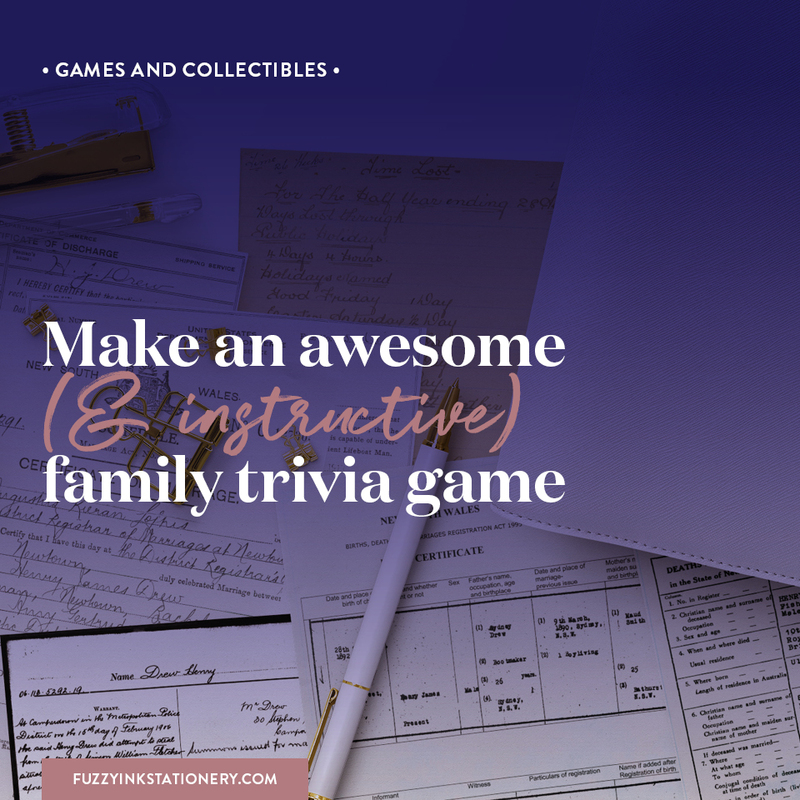 Do you have some ideas for game templates for family history games? Add your suggestions for game templates to the comments below.